In the back of the pumpkin patch, something is stirring. And in the full moonlight one begins to see what form it's in. 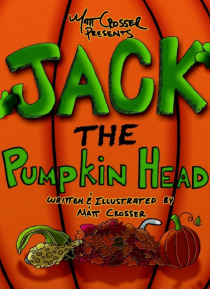 This is a fun story that takes place on October 31st, where the costumed kids deal with bullies while trick or treating then come face to face with something or someone that they have never seen before. Fifty-four full color illustrations fill this book and make it an adventur… e that you don't want to miss.